This book shares the compelling story of how a team of visionary educators turned the traditional education system inside out and created a dramatically different approach to schooling that would serve every child. The result is the Re-Inventing Schools Coalition (RISC) Approach to Schooling, a new paradigm in education that can be replicated anywhere, by anyone, for any student, under any set of circumstances. Examine the RISC Approach to Schooling through the inspirational story of the Chugach School District. Discover why the award-winning approach has proven to be successful. Learn how the approach can be effective in a variety of school environments—rural and urban, large and small. Compare the RISC system to a traditional education system, and learn why the pace at which each student learns is so critical to consider. Understand the foundational pillars of RISC’s whole-child model: motivation, engagement, and shared leadership. 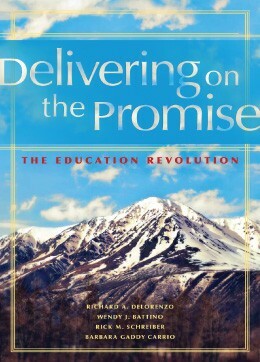 “Accounts of leading educational change are always interesting. [This book] caught my attention because of its focus on a change process related to standards-based curriculum, instruction and assessment—a process taking place in districts nationwide. “The story of change began in 1994 in the Chugach, Alaska, school district, when two change agent school leaders started in new positions on the same day. “Simultaneous change processes are explained—standards revision, implementation of a new report card and a move from traditional aged-based grade levels to a system in which students move at their own developmental pace. “The book also describes the formation of the Re-Inventing Schools Coalition, a nonprofit organizational that supports lighthouse districts that meet the needs of all students by way of an integrated, standards-based approach to education.